OKLAHOMA CITY, Oct. 23, 2017 – The Oklahoma City Blue finalized its 2017-18 training camp roster, the team announced today. The Blue opens the 2017-18 season on Nov. 3 versus the Rio Grande Valley at 7 p.m. in the Cox Convention Center. For more information, visit OklahomaCityBlue.com. 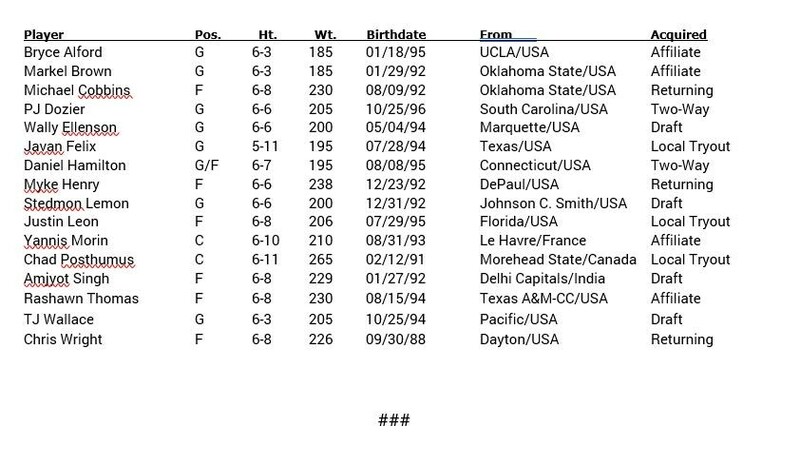 Oklahoma City’s complete training camp roster is below.